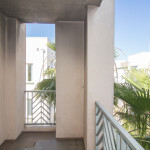 Very special, top floor single-level unit in The Metro located on the quiet side of the complex away from Lincoln and Jefferson. 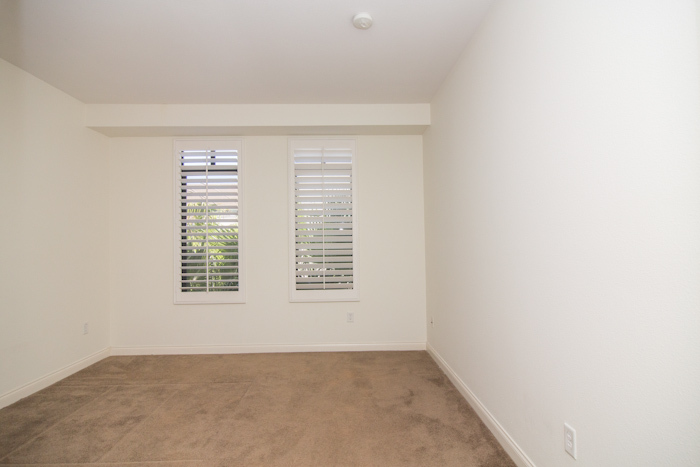 Private location at the end of the hallway with only one common wall. 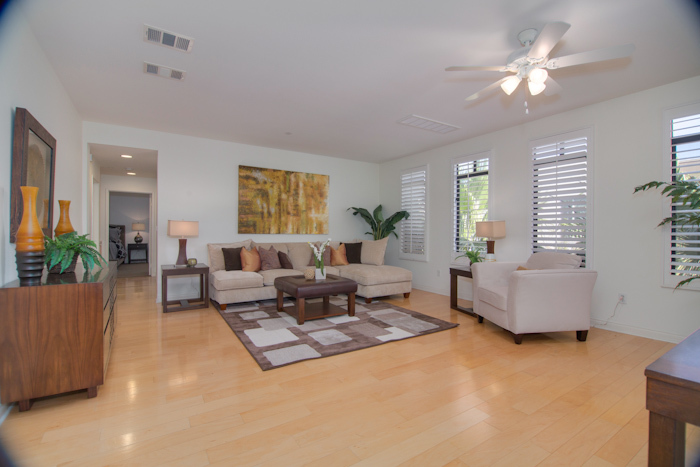 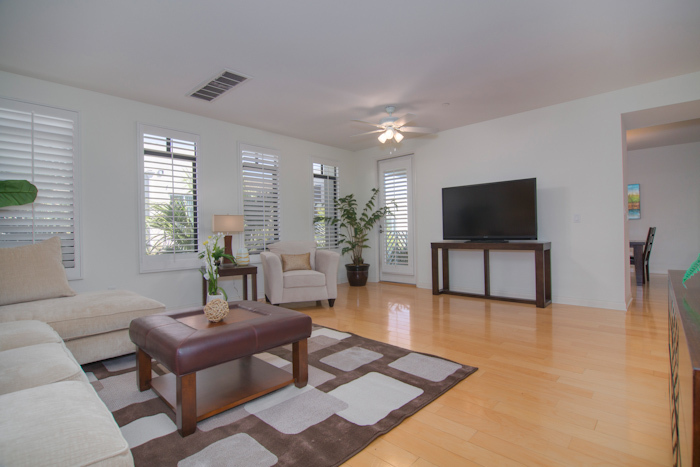 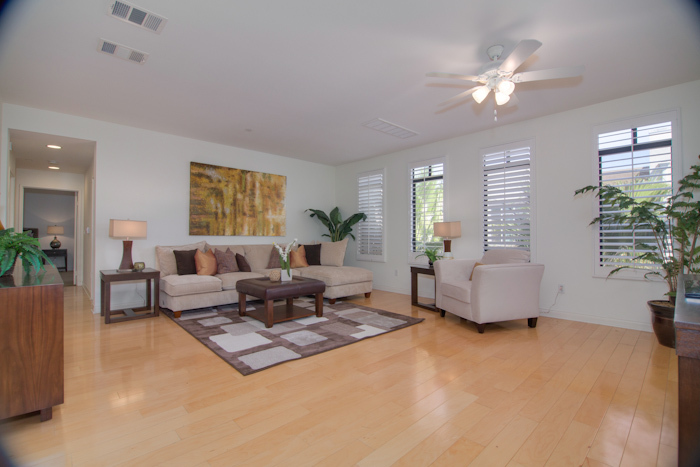 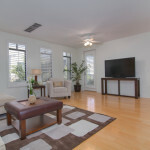 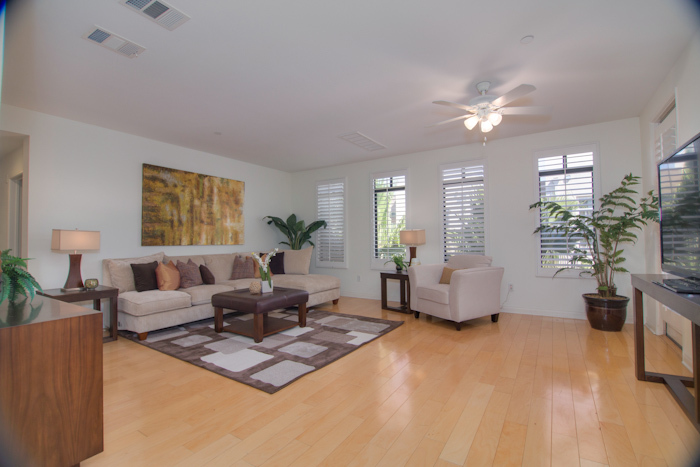 Elegant home with formal entry, bright and spacious living areas with blond hardwood floors, and balcony. 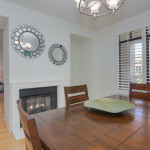 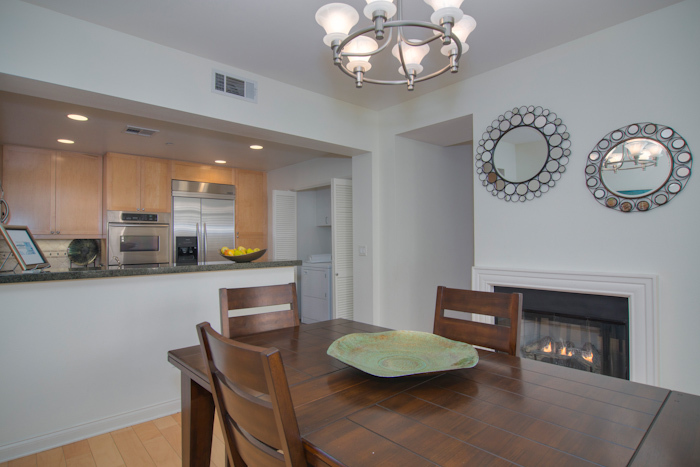 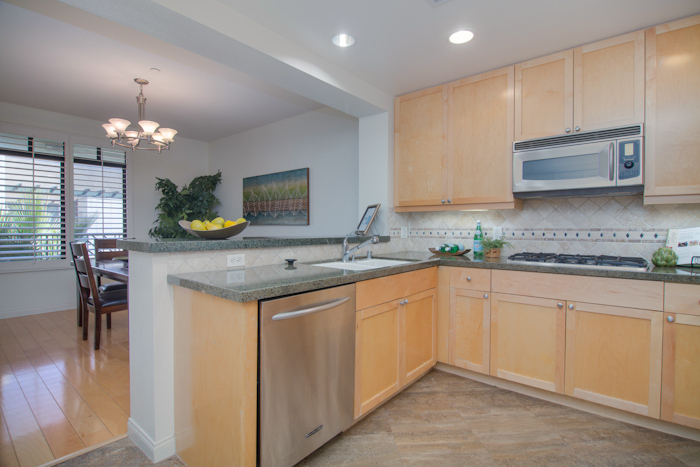 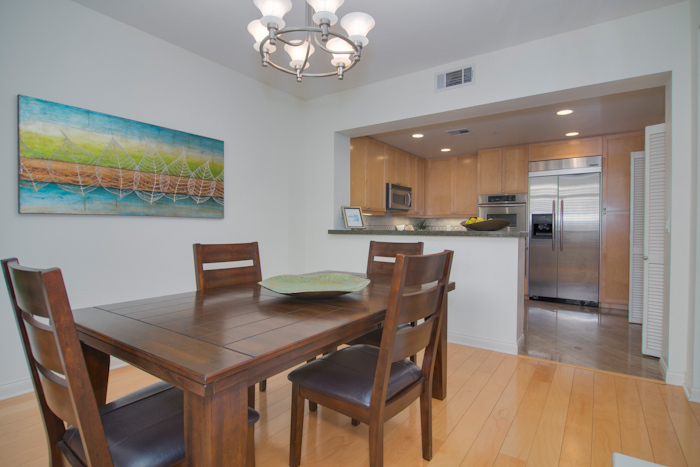 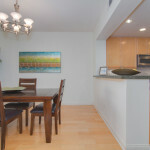 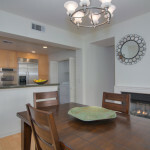 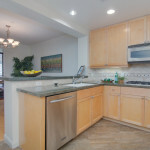 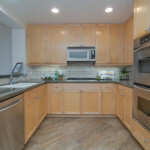 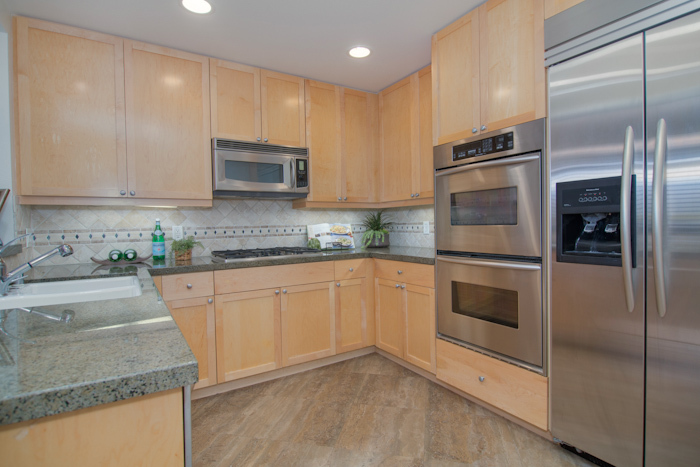 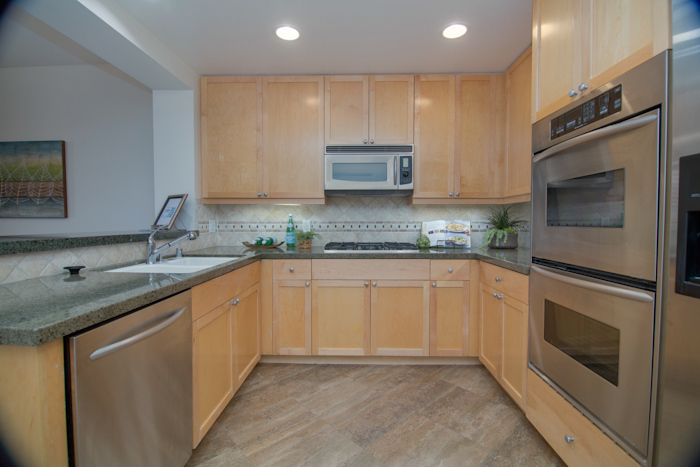 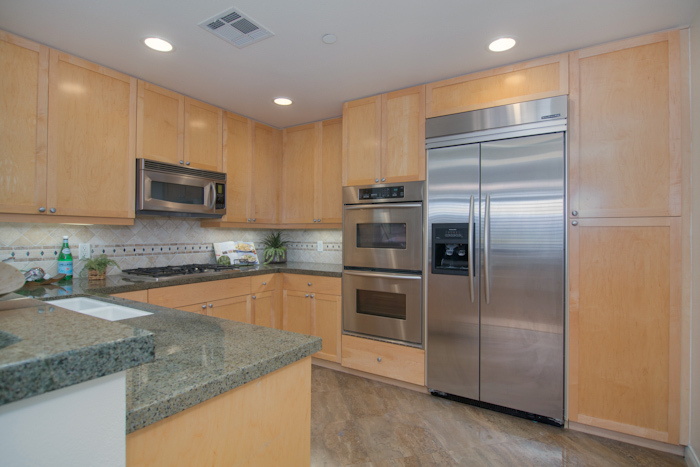 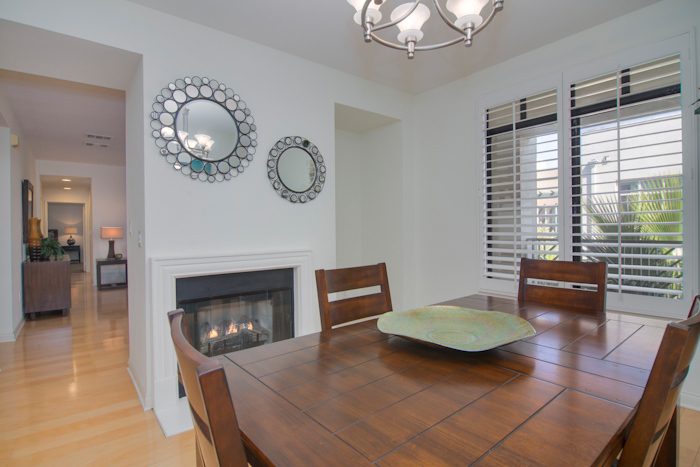 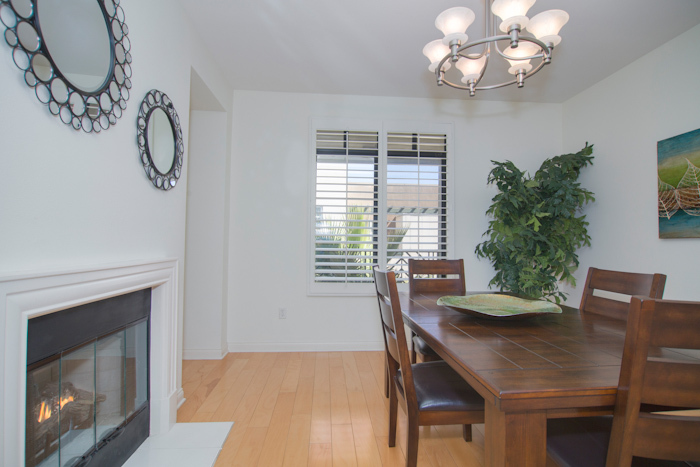 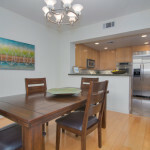 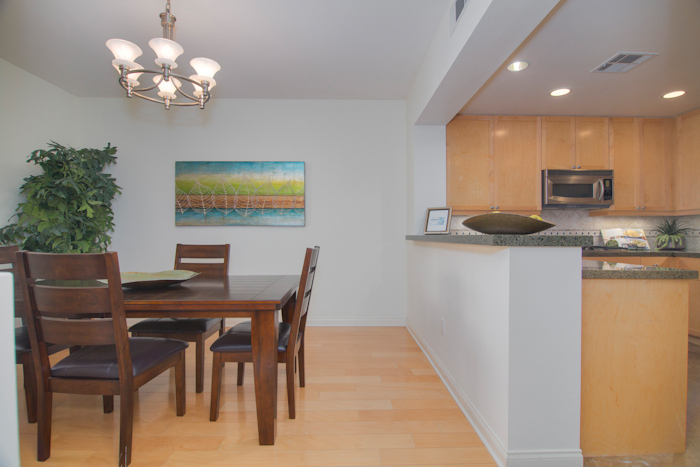 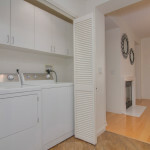 Kitchen has granite countertops and stainless steel appliances with adjacent dining area and fireplace. 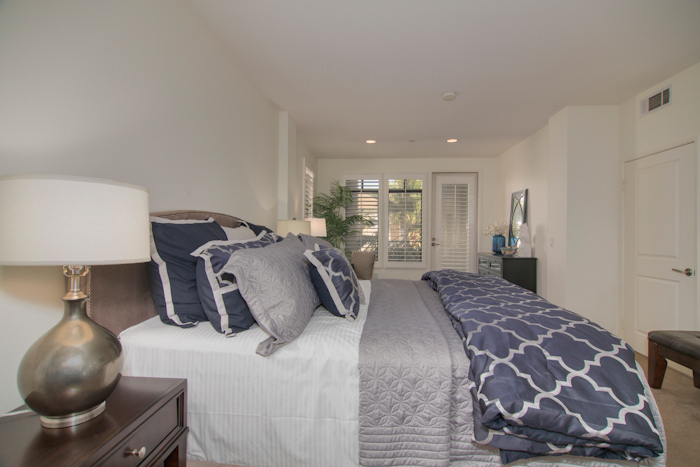 Massive master retreat with large walk-in closet and balcony. 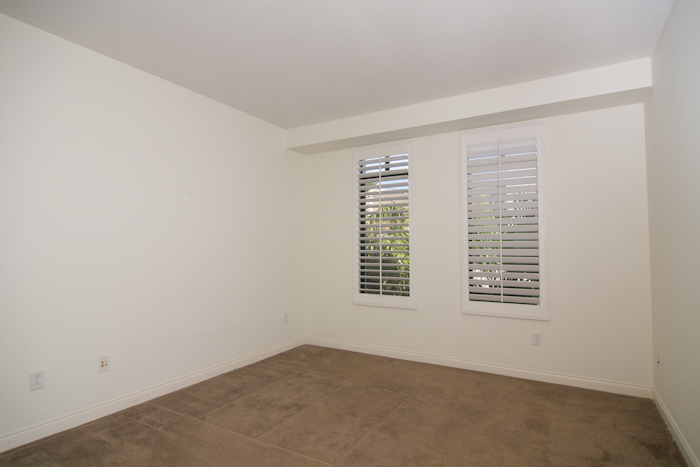 Ample second bedroom. 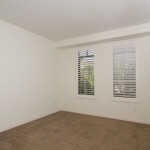 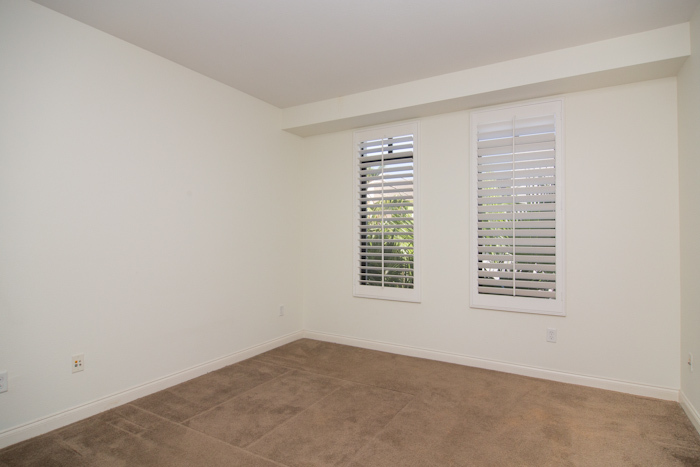 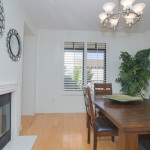 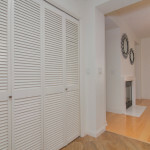 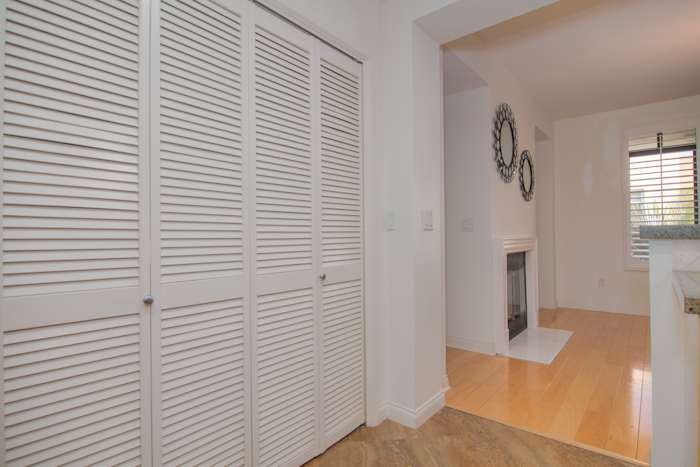 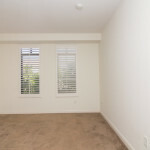 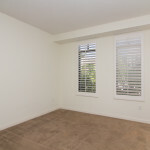 Unit was recently painted and has plantation shutters throughout. 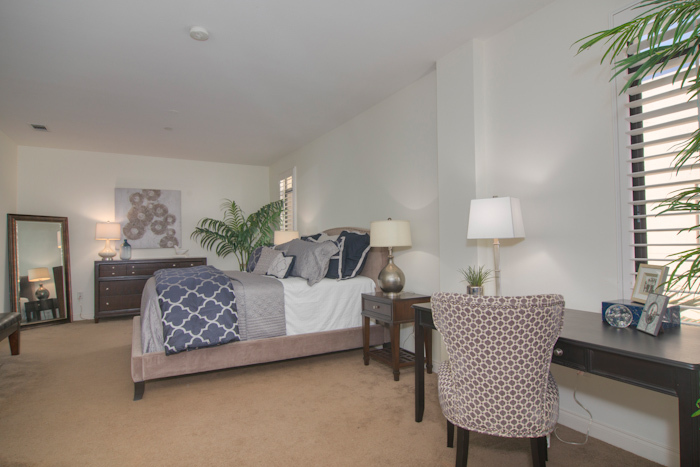 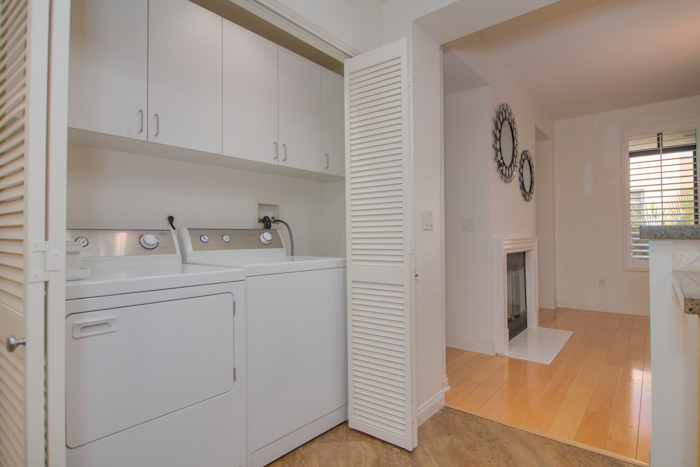 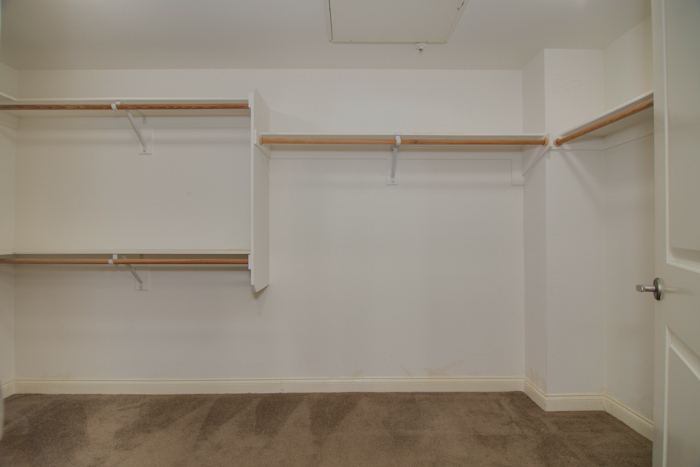 Two conveniently-located side by side parking spaces and extra storage in garage. 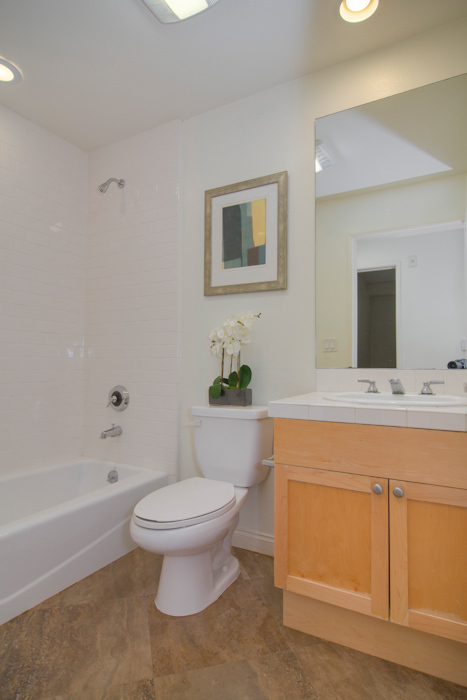 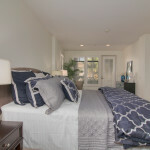 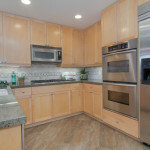 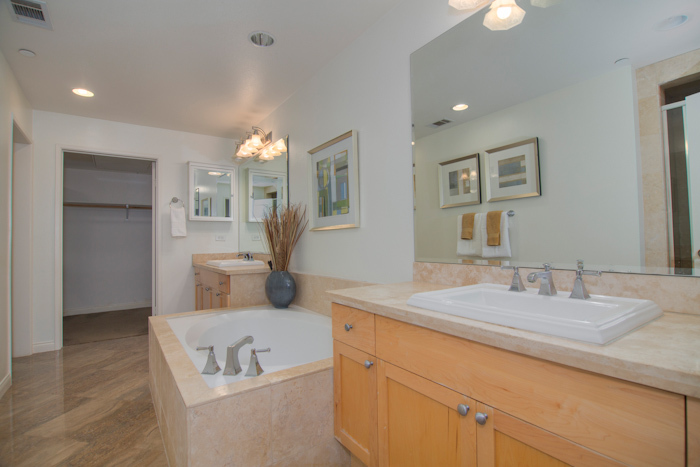 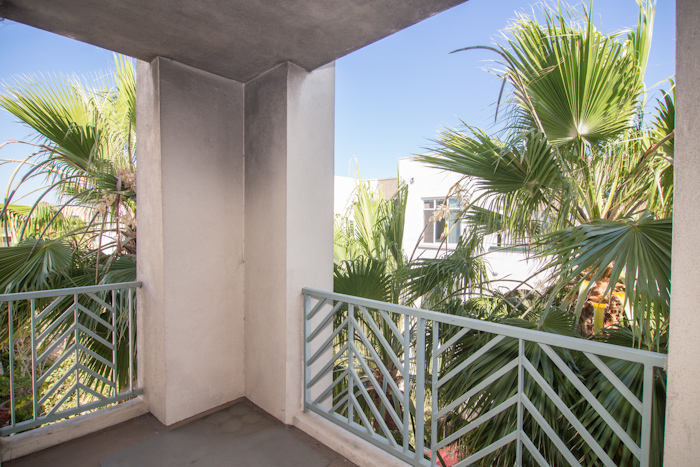 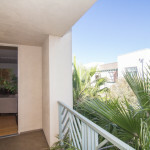 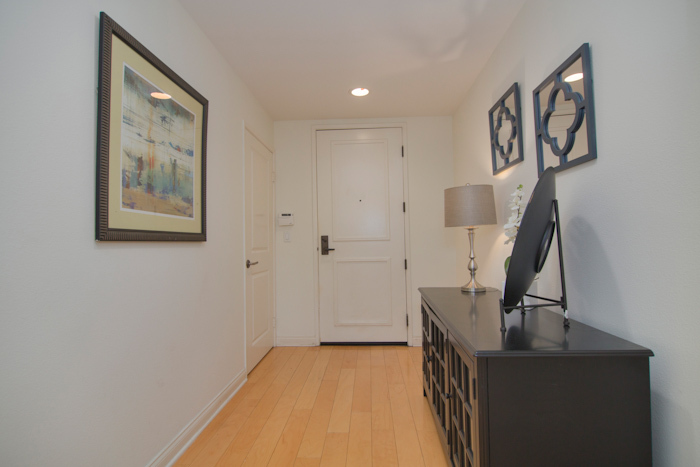 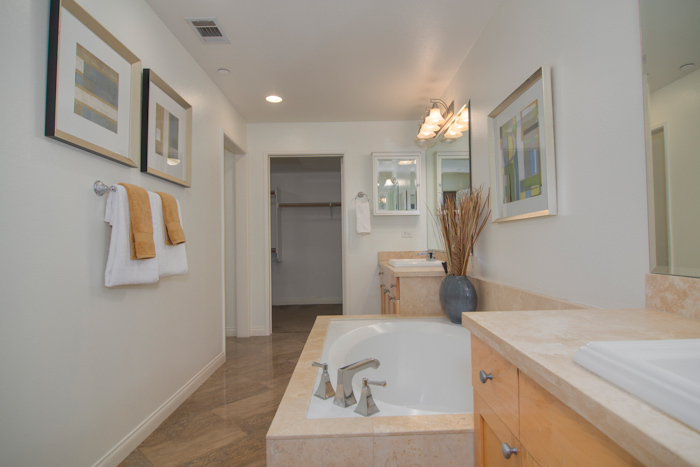 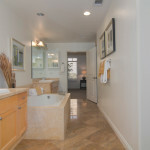 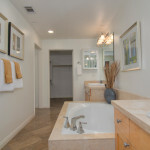 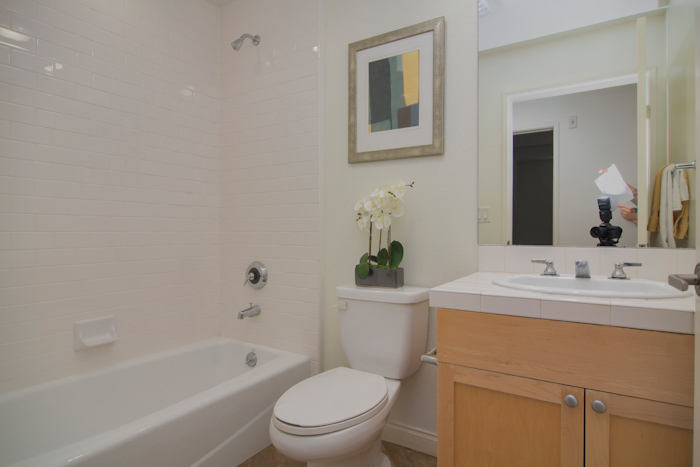 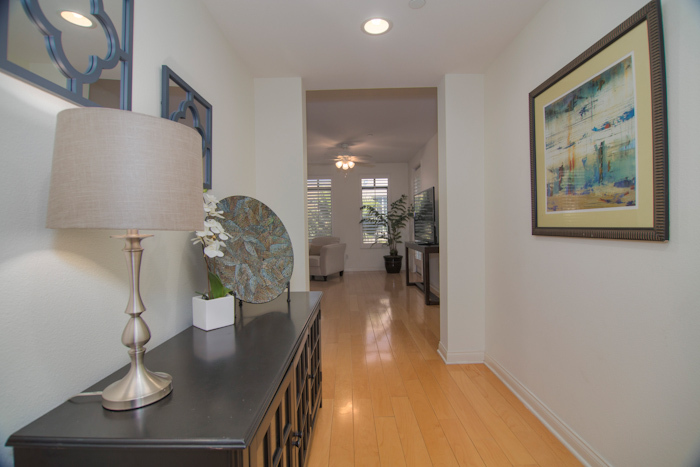 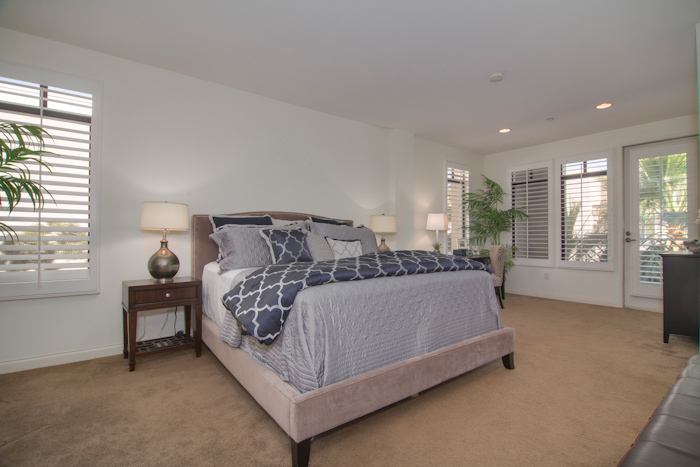 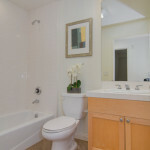 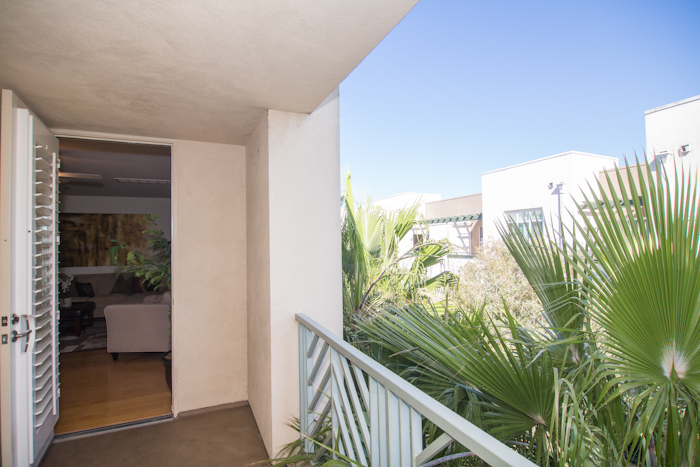 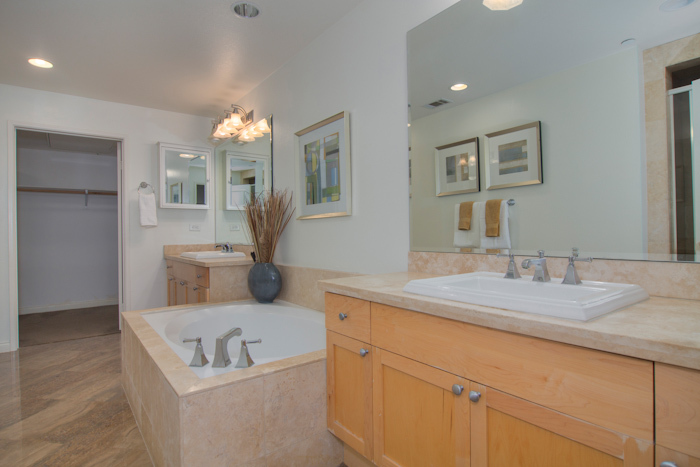 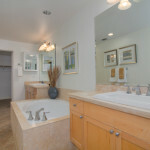 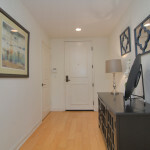 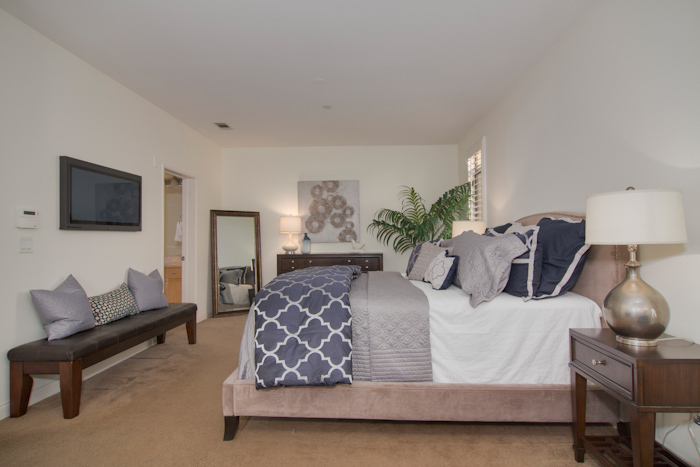 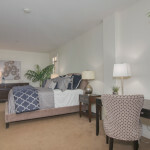 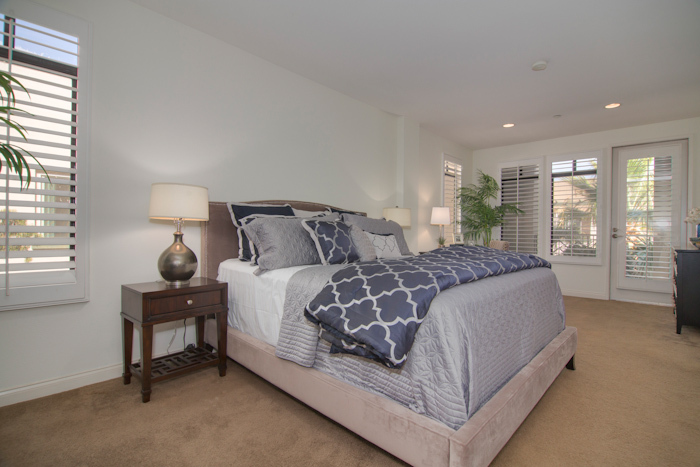 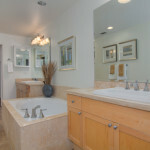 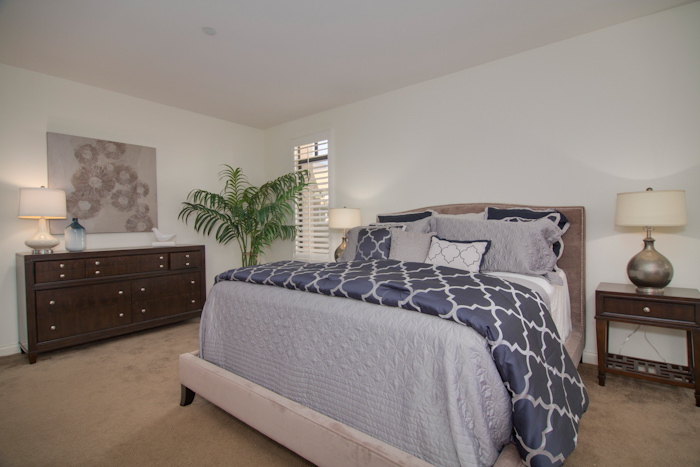 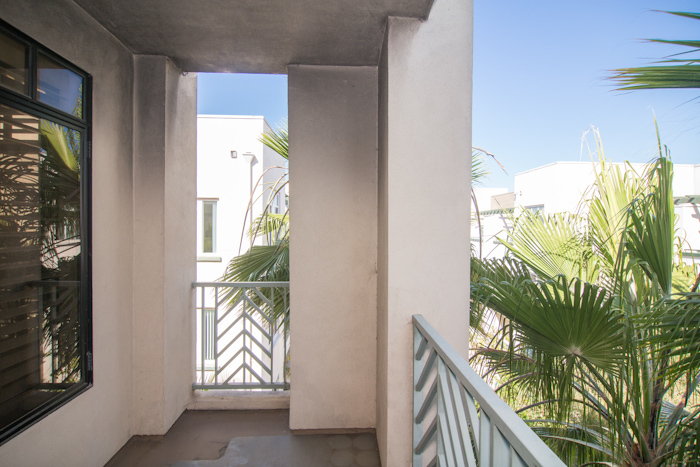 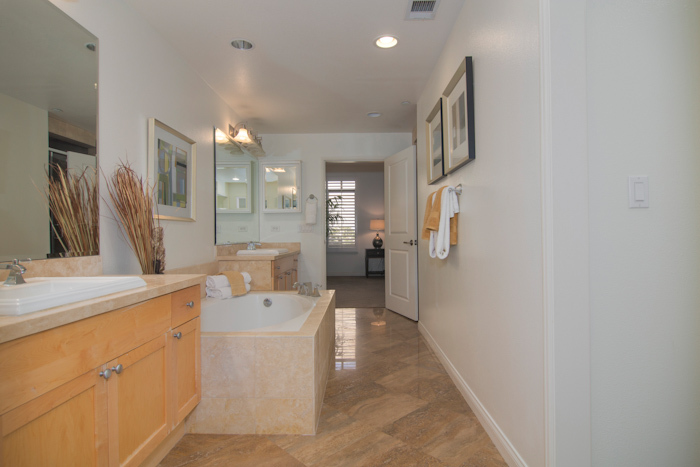 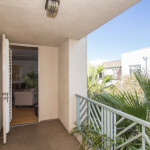 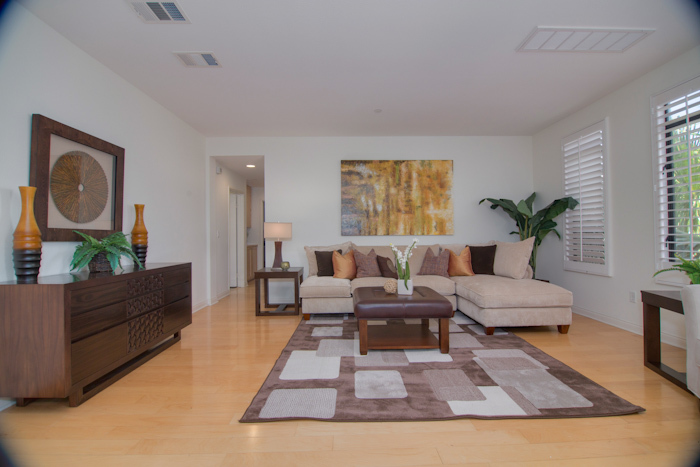 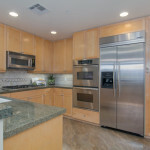 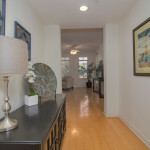 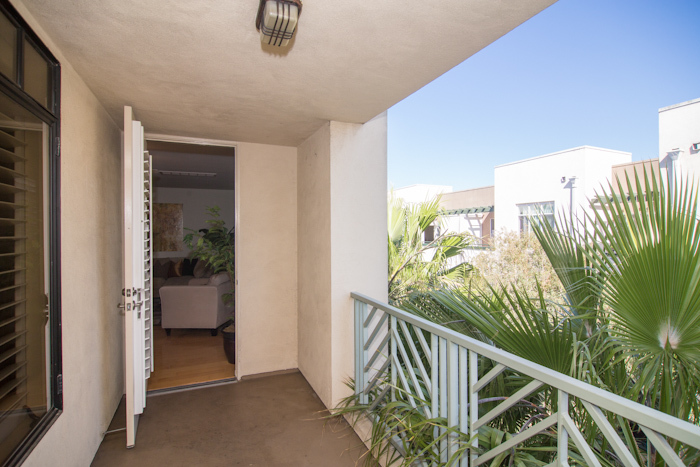 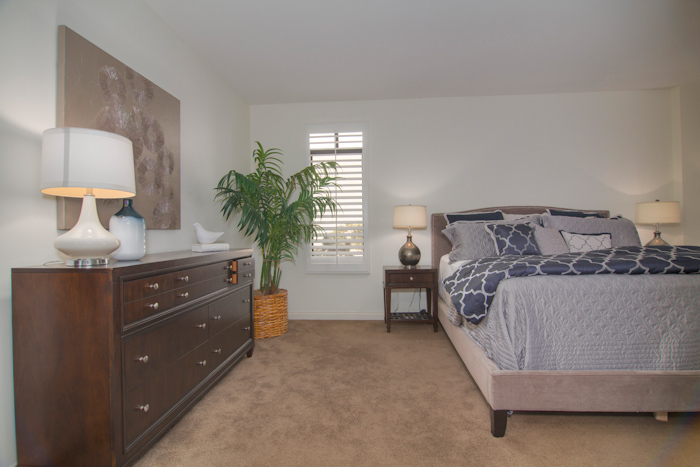 Walk outside to Crescent Park and short distance to additional parks, Center Pointe Club pools and fitness center, shopping, and Playa Vista Elementary School.